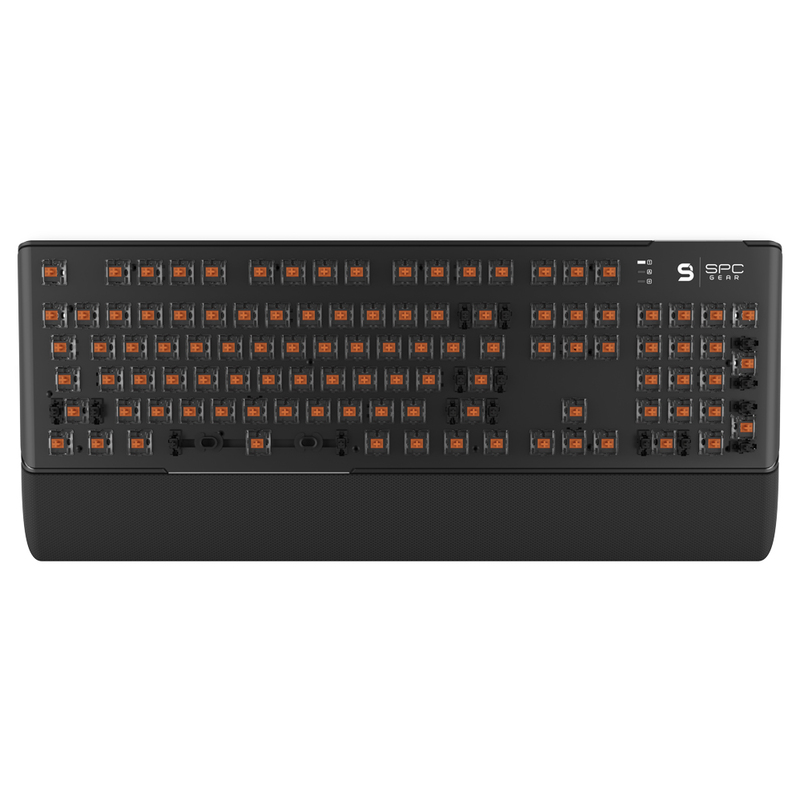 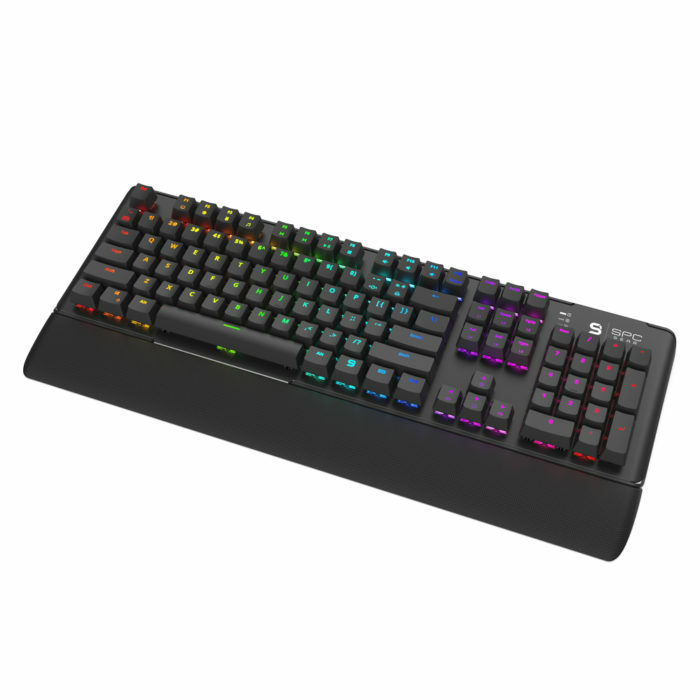 SPC Gear GK550 Omnis Kailh Brown is extremely universal of mechanical keyboard, which will prove itself as much in gaming as in daily internet surfing or in office work, thanks to separate number pad, gentle switches and magnetically detachable wrist rest. 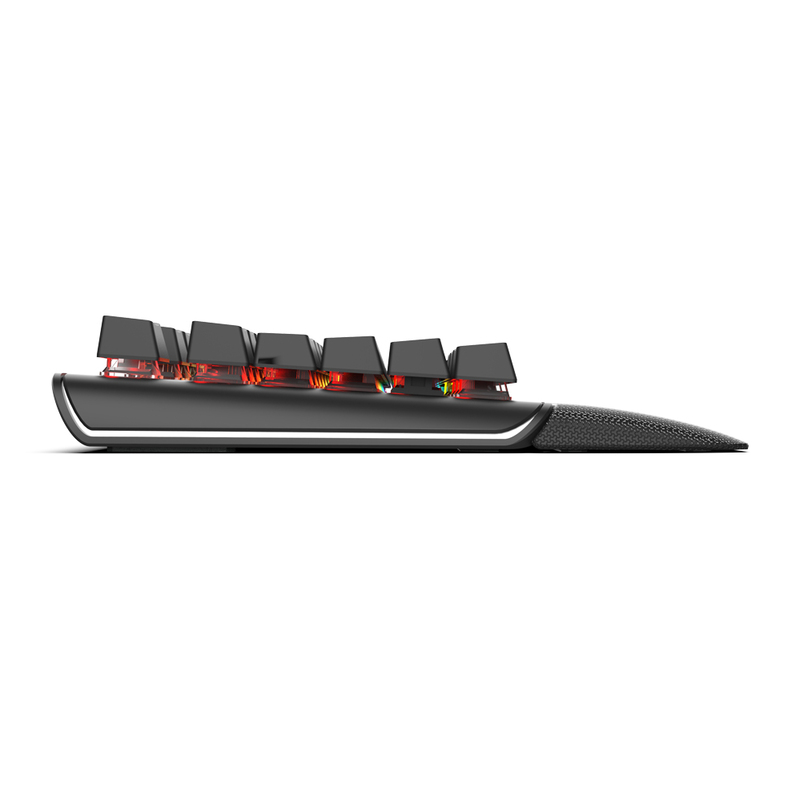 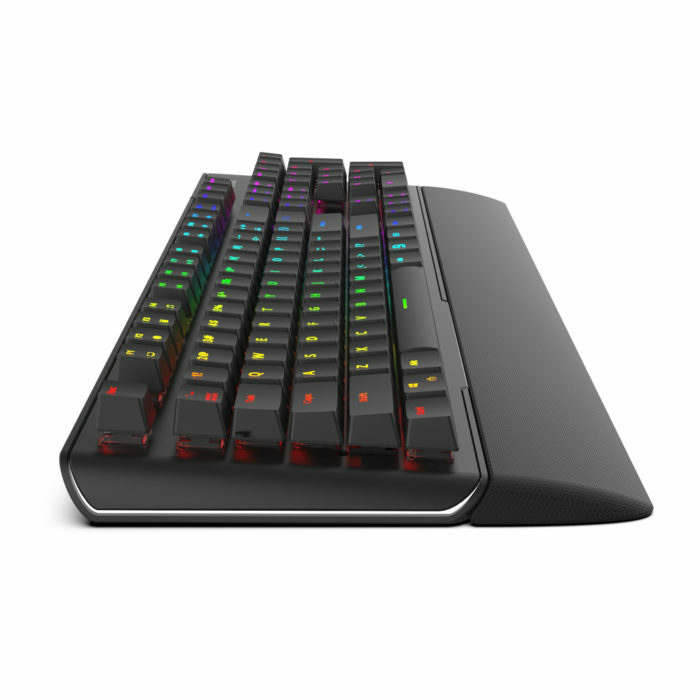 Punctual and fully programmable lighting of each of 104 keycaps allows the user to configure unique keyboard design. High quality aluminium top offers solid construction, and side LED lighting provides an unique design. A nice supplement of the SPC Gear GK550 Omnis Kailh Brown high possibilities is the macro function used not only in gaming but also in day to day work which combined with high quality aluminium top and quiet keyboard switches make it the best option for home users. 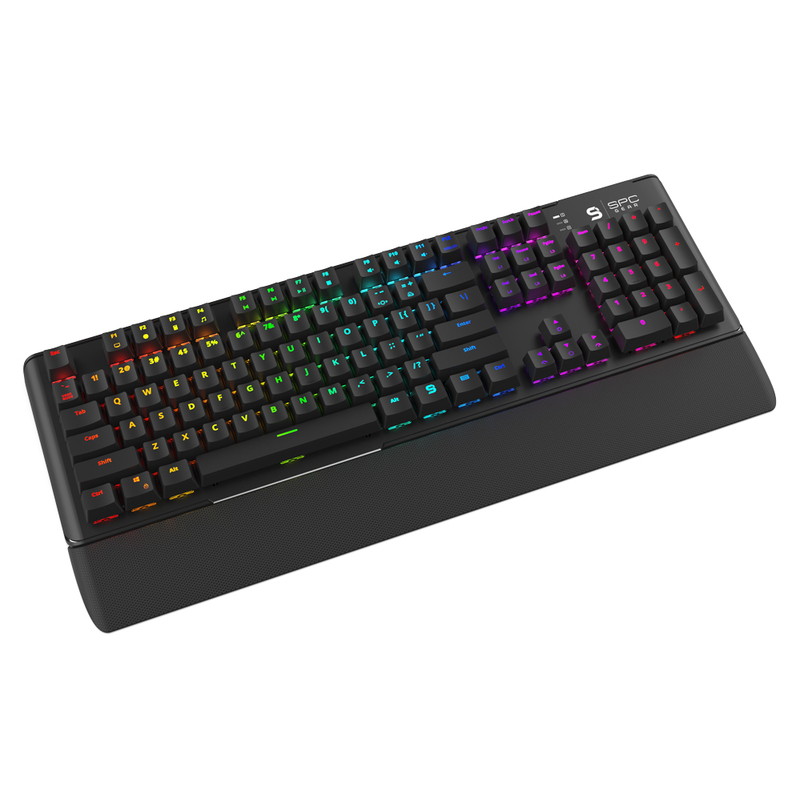 Rounded up edges, modern design, and unique side lighting give the SPC Gear GK550 Omnis keyboard exceptional style. 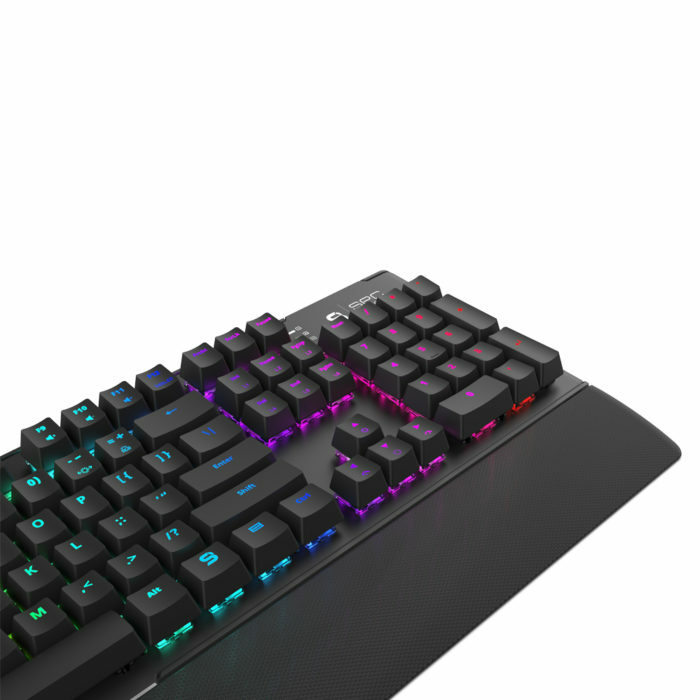 It is a link between classic and modernity, which makes it an genuine and timeless product, which also is a decoration on the gaming desk. 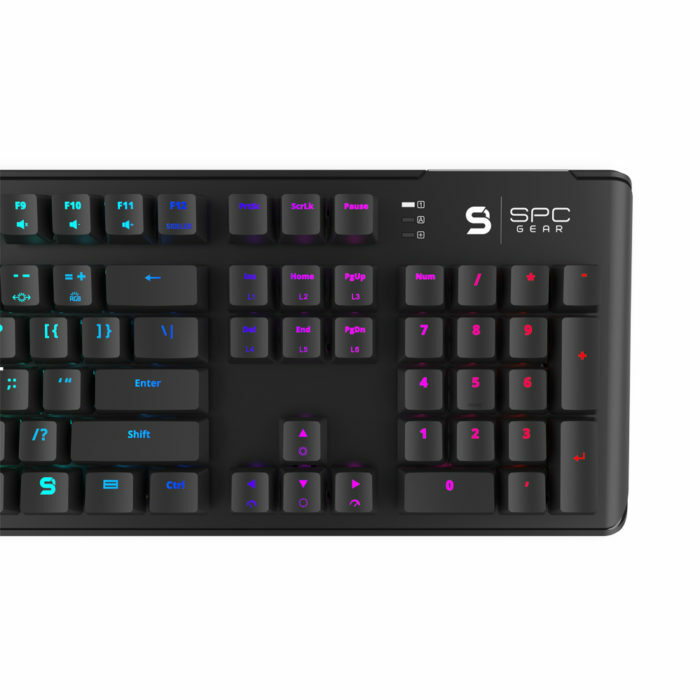 Thanks to light and durable aluminium strenghtened frame, the SPC Gear GK550 Omnis keyboard is extremely long lasting and very resistant to any damage. 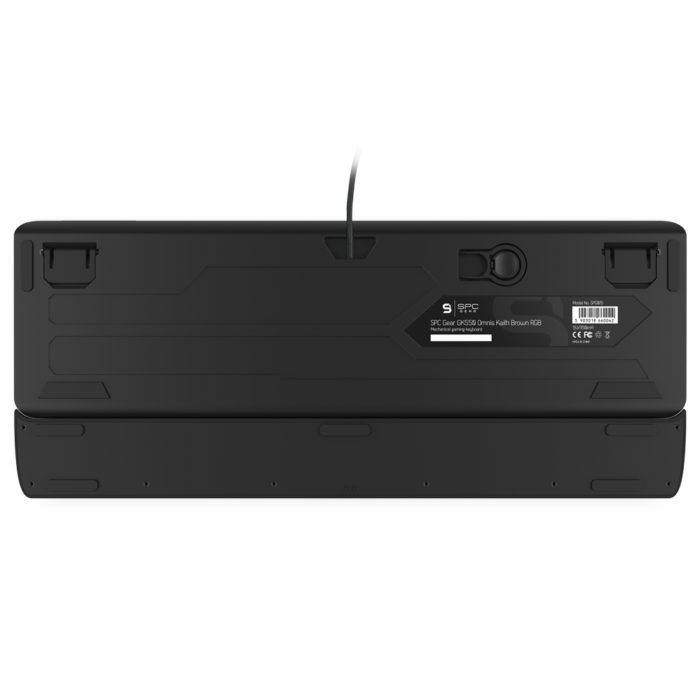 Top plate with linished edges not only strenghtens the frame but also adds a piece of amazingness to the keyboard design. 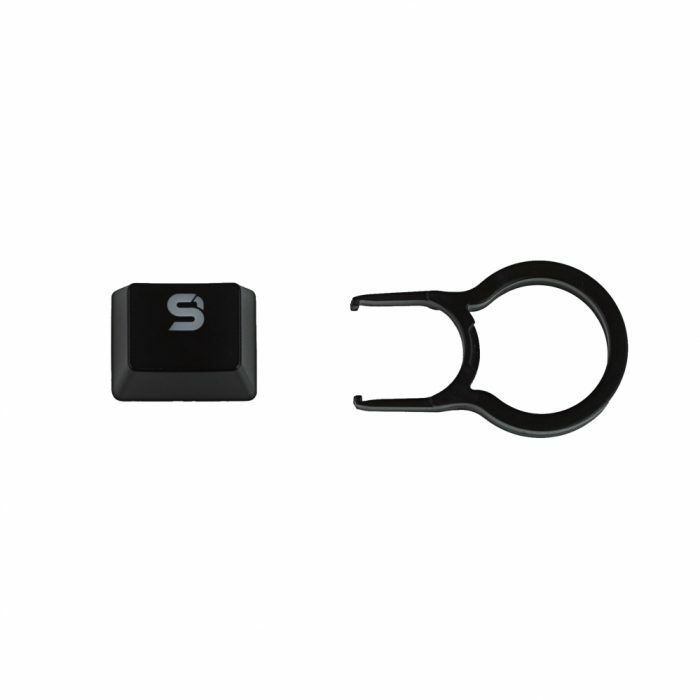 Well planned keyboard weight, and rubber legs makes it a stable construction which improves usage comfort. 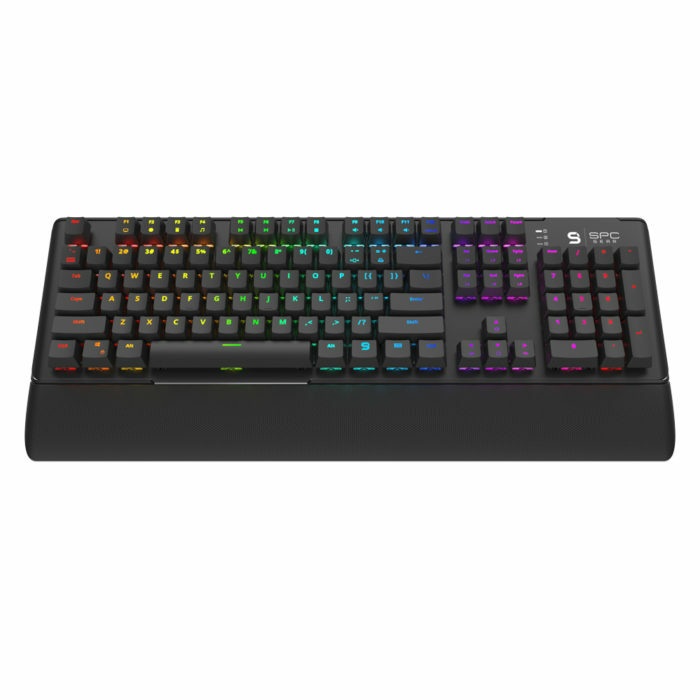 Kailh Brown switches are perfect compromise between gaming requirements and day to day use. 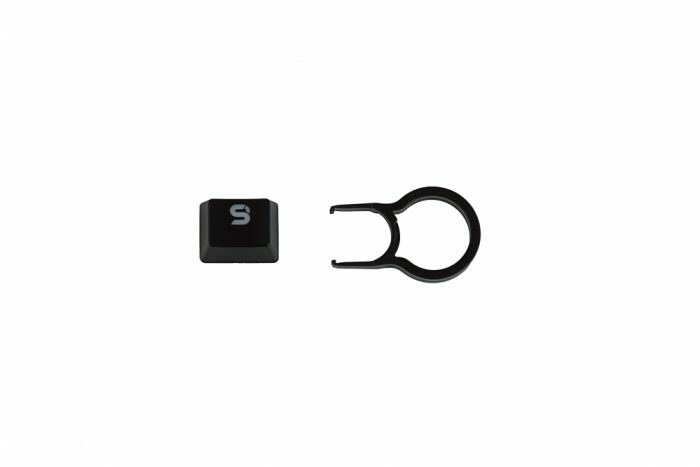 Due to the Kailh Brown switch design, keys require less force to activate, and also they dont make the characteristic click sound when pressed. 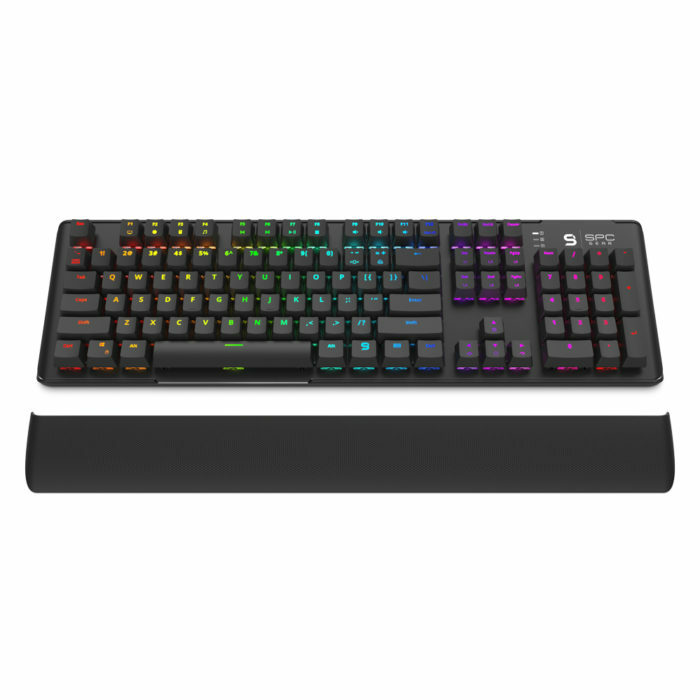 This makes the keyboard perfect to work with in busy environment (i.e in office) but will also be useful in evening gaming sessions.